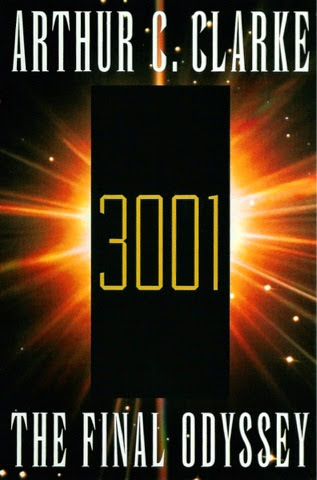 NEW YORK — November 3, 2014 — Syfy announced today that it is working with Scott Free Productions and Warner Horizon Television to adapt the Arthur C. Clarke novel 3001: The Final Odyssey into a miniseries. Stuart Beattie (Pirates of the Caribbean, Collateral) will write the adaptation and serve as executive producer along with Scott Free’s Ridley Scott and David W. Zucker. Clayton Krueger will serve as co-executive producer. The announcement comes on the heels of Syfy announcing the greenlight of another Arthur C. Classic novel, Childhood’s End, which begins production later this year. Scott Free Productions was formed in 1995 and is the film and television production vehicle of acclaimed film directors, brothers Ridley and Tony Scott. Scott Free Television produces the Emmy® and Golden Globe®-nominated, Peabody-acclaimed drama, The Good Wife for CBS which just began its’ sixth season. Earlier this year, Scott Free produced Klondike, Discovery's first scripted miniseries, and the Emmy nominated Killing Kennedy for National Geographic. Upcoming, Scott Free is in prep on The Man in the High Castle for Amazon Studios, and in post-production on Halo: Nightfall, a digital feature for Xbox Entertainment. With offices in Los Angeles and London, Scott Free works closely with RSA Films, one of the world largest and most successful commercial production houses in the world. Warner Horizon Television (WHTV) is one of the entertainment industry’s leading producers of scripted series for the cable marketplace and primetime reality series for both network and cable. A division of the Warner Bros. Television Group, WHTV was founded in 2006. WHTV’s current scripted programs are Rizzoli & Isles for TNT;Ground Floor, Sullivan & Son and the forthcoming Buzzy’s for TBS; and Pretty Little Liars for ABC Family. Its unscripted series are The Voice for NBC and The Bachelorfranchise — which also includes The Bachelorette and Bachelor in Paradise — as well as the upcoming 500 Questions for ABC.